Sportsmanship and horsemanship are two of the qualities that we hope to see at the highest levels of competition. Which is why this video has made such an impression. 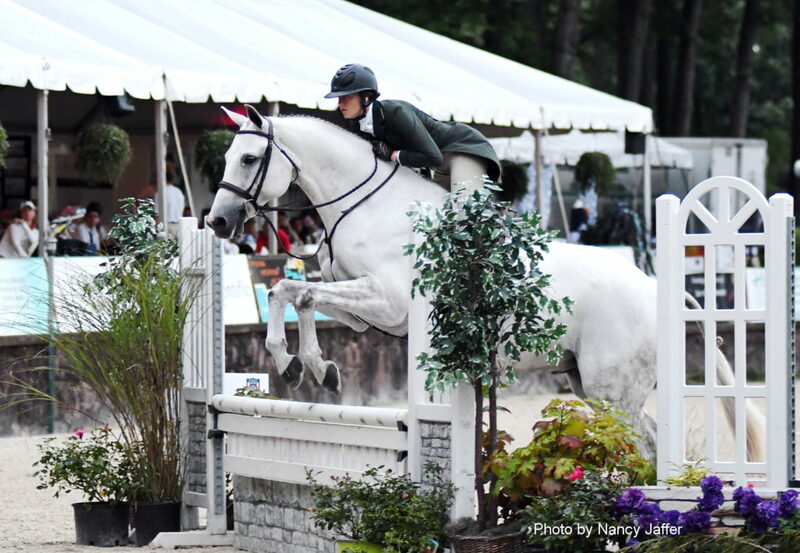 Johnson & Johnson heiress Jazz Johnson-Merton fell off her horse Joe Cool at the Hampton Classic last week. It wasn’t her horse’s fault, Merton simply came unseated after a jump, but after getting to her feet, she tried to kick him in the stomach before leading him out of the ring. Unfortunately for her, the incident was caught on video, which has since gone viral. Jazz Merton and Joe Cool at a more successful event. But what she did do was highlight the how people should not act toward their horses. Certainly not adults. Jazz Merton sent the following letter to the USEF, which investigated the incident, and shared it with the Chronicle of the Horse, which published the video. I’m afraid I don’t buy the apology. The fall was not serious (hence, I’m not sure why she was scared). She was certainly angry, and based on her horse’s response, it’s not the first time she went postal on him. Let’s just hope she really did learn her lesson and starts to treat her very nice horse with the care and compassion he deserves. I agree, the horse’s reaction shows this has happened before. Reminds me of when I saw a Pony Clubber come off between the elements of an in-and-out. She just fell off and the horse stopped and didn’t move till she got up. Unfortunately for the horse, the jump judge took it upon himself to grab the poor boy’s reins and start popping him in the mouth. At which point I stood and shouted at him to stop it, that is a good horse! He shouted back, “He is not a good horse! He threw his rider!” I responded, “He didn’t throw her, she fell off and he stopped and waited for her to get up! That is a good horse, you should be praising him, not punishing him!” To my surprise, the guy actually heeded my words and began stroking the gelding’s neck and talking softly to him. The rider had burst into tears and run off-course, so he stood for a minute till someone came to fetch him. The horse doesn’t like her and would you if you were kicked in the stomach and then pulled on to follow after being subjected to her angry antics. She can say sorry all she wants. She fell and wanted to take it out on her horse. You could see that the horse was afraid of her so it leads to believe that he has been attacked in the past. It goes to show the horse has better breeding than the owner in this case. It obvious that Joe Cool has lost all the warmth for his rider. He’s had enough.. from the look of that jump he cleared it beautifully until he was on the ground and let her have it. This pair simply does not go together. What was really disturbing for me is how she literally “pulled” him off the jumping site. It shows you that sometimes people look beyond the unity of the horse and rider and only want to win. Very sad indeed. I hope she is learning something from this.